That beautiful white Carrara marble kitchen island caught your eye, but what will it look like after one of your legendary Italian feasts when the guests have gone but their tomato sauce and red wine stains are there to remind you of all the fun? Is that the kind of “lived-in” look you’re looking for? When choosing your kitchen counter surfaces, there’s much more to consider than meets the eye. There are a wide range of beautiful options for kitchen counters today from natural stone to glass and concrete. But the characteristics, cost and performance of these surfaces can vary greatly. 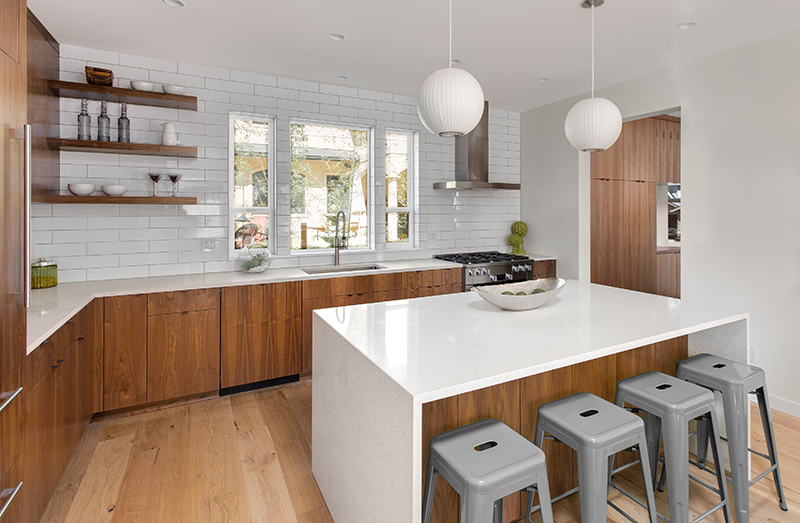 This easy-to-follow buying guide from Zillow walks you through the pros and cons and costs of the various surface options and provides you with tips to watch for as you choose the kitchen counter that’s right for you.